Kissimmee dentist Maria Balda, DDS, and her friendly team at Coast Dental provide comprehensive general dentistry services in a new office with expanded technology designed with patient comfort in mind. Residents looking for a new dentist in Kissimmee, FL can enjoy quality care in a more convenient location now that Coast Dental Kissimmee is moving next to Publix in Partin Village Plaza, 2310 E. Irlo Bronson Memorial Highway, Suite C-106, Kissimmee, FL 34744. The new location is located less than a mile away from its original location, and features a beautiful, fully-renovated design with warm décor, more spacious patient areas with digital intraoral and panoramic x-ray system and laser dentistry. The phone number remains (407) 935-1772. 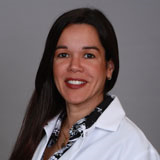 Coast Dental Kissimmee dentist Maria Balda, DDS, treats patients as young as six years old. She will help patients maintain healthy and beautiful smiles by offering dental exams, fillings, crowns, bridges, dentures, extractions, dental implant restorations, bone grafting, crown lengthening, periodontal disease management, pre-prosthetic surgery, root canal therapy, veneers, and teeth whitening. In addition, her team strives to accommodate dental emergencies on the same day. Dr. Balda has been a practicing dentist since 1994. She earned her dental degrees at the Universidad Central de Venezuela and the University of Florida College of Dentistry. She is bilingual in English and Spanish and is a member of the American Dental Association, Florida Dental Association, and National Dental Association. Coast Dental Kissimmee accepts more than 200 types of dental insurance and offers dental financing plans for qualified patients. For patients without dental insurance, Coast Dental offers SmilePlus®, which offers savings up to 70% on dental services. To schedule an appointment or for office hours, money-saving offers, and more information, please visit CoastDental.com or call (407) 935-1772. Coast Florida P.A., with its professional associations, is one of the largest providers of general and specialty dental care in the United States with affiliated practices operating as Coast Dental, and SmileCare. Coast Dental Services, LLC is a privately-held practice management company that provides comprehensive, non-clinical business and administrative services to its affiliated practices. The company is headquartered in Tampa, Florida. For more information, visit http://www.CoastDental.com.